Consultation with the community is a legal prerequisite for producing the NP. We’re keeping a rolling log of it here. Update March 2016: this page was last updated in August 2015. Since then, the completed draft Plan was published on line and comments and feedback are invited on that draft. A Consultation Statement as required by the Neighbourhood Plan Regulations is currently in preparation and will appear here when completed, replacing current page content. local landowners including the University were approached by the Steering Group and invited to put forward proposals. an engagement with Wivenhoe youth during the WivKids event in July 2013, inviting them to respond to a simple questionnaire; a summary of the responses. engagement via social media by setting up of a dedicated Website, Facebook page and Twitter account. a Steering Group email account and web site contact forms were available to receive feedback. Comments received on the 2013 Open Day, at the WivKids event and through the Surveymonkey survey were collated and formed the basis for a more extensive Questionnaire that was distributed to every household and business in the town. The questionnaire was distributed house to house at the end of November 2013 and an on-line survey was also made available via the website. In preparation for the event, an interview about the NP generally and the questionnaire in particular was recorded and broadcast on Radio Wivenhoe, where it went out every day for a week from 19 November 2013. The Gazette, County Standard and Brightlingsea & Wivenhoe Chronicle carried articles about the questionnaire and an explanation was published in the winter issue of Wivenhoe News. News about the questionnaire was regularly updated on Facebook and on the Wivenhoe Forum. The town questionnaire and on-line survey together delivered a 27% return rate. Data processing started on 13 January 2014 and an analysis group was formed to present the free text entries. A 12-page Digest of the survey results was made available at many local outlets- shops, pubs, surgeries, libraries, Town Council offices, schools, etc- and the full survey results were uploaded on the web site. Consultation with the business community took place by means of a Business Breakfast on 20 February 2014. With the assistance of the local business association, 160 invitations to the event were emailed to local businesses and traders and to people working from home; a summary of the responses. The Steering Group had a presence at a number of local events in 2014: Wivenhoe Open Gardens, June Market and Art on the Railing, and the Quilting exhibition to discuss the survey results, recruit to the Working Groups and encourage public engagement with the Plan. An electronic survey of the 11-16 age group was carried out with the assistance of the Colne Community school in Brightlingsea and completed in June 2014. 268 students responded, providing useful data on a range of topics. As a spin-off from this, pupils at the school subsequently became involved with real life data processing as part of their maths syllabus. A separate on-line questionnaire was designed targeted at students living on University of Essex campus and in Wivenhoe. With the cooperation of the University and the Students Union this survey was completed in June 2014. A meeting took place in August 2014 between members of the Steering Group and the Estates Director of the University to discuss the Plan project. We held a Community Consultation day on Saturday 22 November 2014. This was an opportunity for residents to view and comment on proposals for the draft plan that had come out of the work of the working groups. The event was widely publicised in 3 local newspapers, by posters around the town, social media on Facebook, Twitter and the WNP website, the Wivenhoe Forum local on-line discussion site, the Wivenhoe Farmers Market, on Colchester BC website and by mass-mailings to local clubs and societies. On the day before, we took the consultation to the Over 60s club at their usual meeting and gathered comments while providing afternoon tea & cake. Local businesses and other stakeholders were also invited to a pre-consultation day lunch. 172 people visited the consultation event on the Saturday 21 November 2014. An on-line voting and commenting facility was also set up via www.voxup.co.uk/WivenhoeNP for those who could not attend at the venue. When this on-line consultation closed on 4 January 2015, in excess of 1300 opinions had been added to the consultation. In January 2015 the working groups were re-configured into three new ones. One of these is the Consultation and Community Engagement Group which is preparing plans for regular informal public awareness opportunities in the town through a variety of media, including face to face meetings. 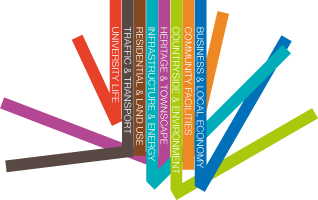 March 2015 saw the publication of the Vision & Objectives document by the Steering Group and feedback from the community was invited on the NP website. The publication was advertised on the WTC website’s newspage; circulated by group email to 38 local organisations, some of which further published it on their own websites; the local schools cascaded the information through parent mail; Facebook and Twitter both carried the news of and links to the document; information and a link were posted on the Wivenhoe Forum which has 1500 members. C&CE group has held pop-ups at public gatherings (e.g. Moving Image), the Wivenhoe Open Gardens event , Wivenhoe Regatta) and at the town’s schools’ gates, providing information leaflets and an opportunity to discuss the NP. An article appeared in the Summer edition of the quarterly Wivenhoe News, a widely read local publication, with information about the stage of progress of the Plan and an invitation to residents to attend meetings/become involved. A Note to Residents was prepared for the Wivenhoe Regatta event on 6 June to serve as a discussion point on housing site proposals at the WNP stall on West Quay. The same Note appeared on the website, on Facebook, and was group-emailed to 37 Wivenhoe organisations including the three schools, with a request for further dissemination via their networks. It was published on the Town Council’s website. The Note included advance notice of the public consultation meeting planned for 11 July. A Public Consultation Day was held on 11/12 July 2015. This consultation was aimed at getting residents’ views on the four proposed housing development sites. It was attended by 152 visitors. Residents of Heath Rd and Field Way had been circulated by personal letter before the event. On 13 February 2016 the first version of the completed draft Plan was launched. A Plan Review Group began work on considering all comments and feedback and making adjustments to the draft Plan. Consultation is an on-going event. a Referendum, if the NP passes examination by an independent inspector.